The charismatic developer shared some insight on his upcoming game on Nintendo Switch. Suda51 is the man behind several exciting and off-the-wall games like Killer7, Killer is Dead, and of course No More Heroes. We caught up with Suda-san at PAX West 2018 to chat about his latest game, Travis Strikes Again: No More Heroes. 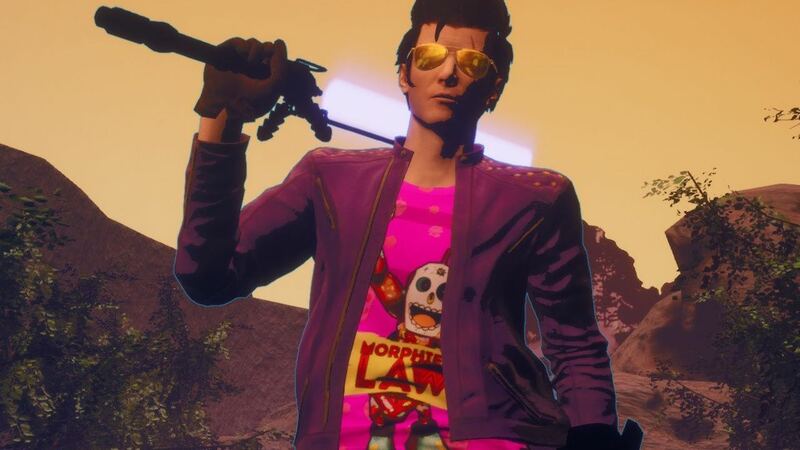 Suda spoke at length about his favorite indie games featured in the title by way of Travis's shirts, Bad Girl's popularity and the decision to base the game's story around her, and other juicy tidbits. Suda also discussed how he'd definitely like to see a No More Heroes 3, but if we want that to happen, we're going to have to support his latest game. There's also some hints about potential remakes of the first two games in there, too! Did I mention this particular interview was done by yours, truly for once? Travis Strikes Again: No More Heroes releases for Nintendo Switch on January 2019. For more videos, including inside looks at upcoming games, game convention coverage, and detailed interviews with the industry's hottest stars, be sure to follow both Shacknews and GamerHub.tv over on YouTube.